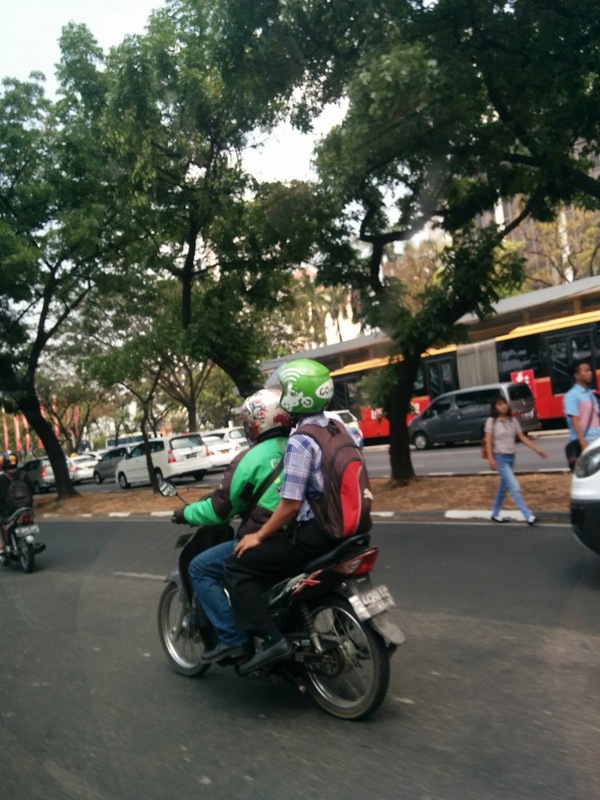 I first heard of GO-JEK toward the end of March 2015, from a VC firm we had close ties with. At the time, I was running C42 Engineering, a web engineering consultancy that specialised in working with fast growing startups. The firm in question wanted us to meet their portfolio companies in Indonesia and see how we could help. 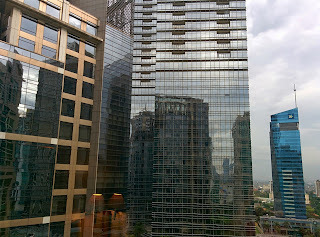 By early April, I was in Jakarta for a quick, two day recce. I was to meet the CEOs and CTOs of two national success stories with tens of thousands of daily transactions and one tiny startup called GO-JEK that had just gone digital in January, was doing a couple of thousand orders a day through a few hundred drivers and wasn't really on anyone's radar in a big way. April 2015: A Jakarta Street with no GO-JEKs! Unimaginable today. So I met and pitched the leadership of each of the firms straight off a red eye flight - the first two at fancy offices and GO-JEK at a bungalow in a residential area. 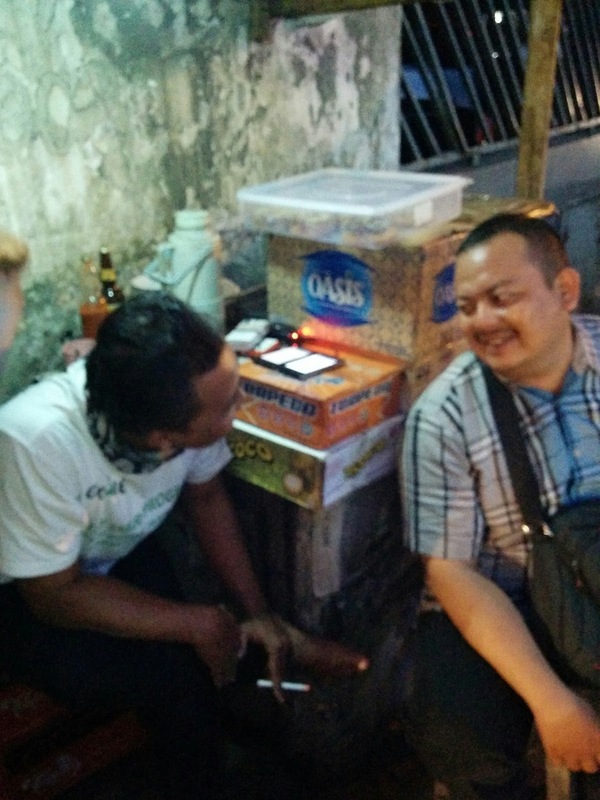 What I saw of Indonesia blew me away: A wide open market, negligible investor presence, enormous purchasing power (~2x India's per capita GDP), population of 250M, high internet penetration, high app adoption, fast growing startups and a tiny pool of tech talent. 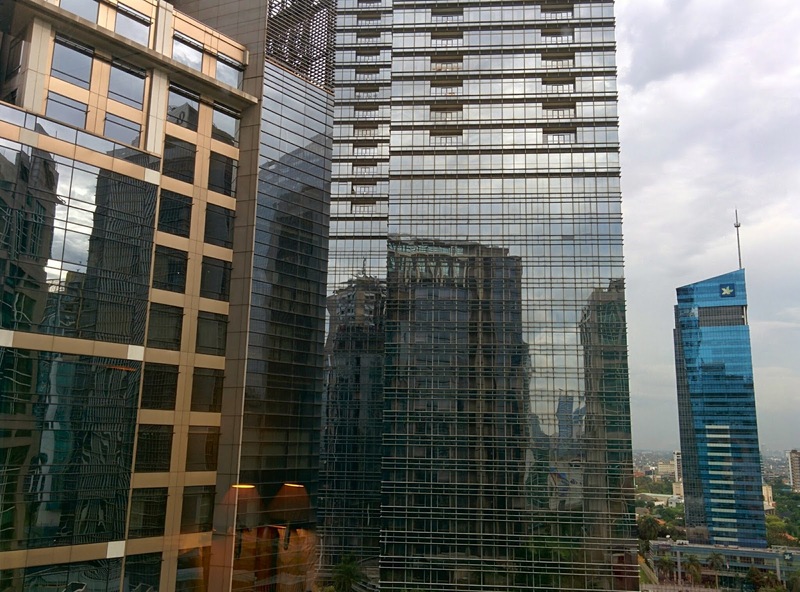 A view of Jakarta's business district from my hotel room. 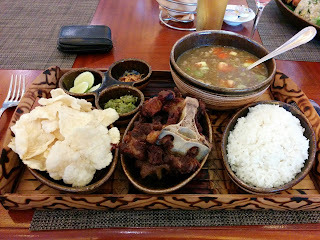 That evening I tried Sop Buntut. I took photos of the traffic, and the night skyline. I drank myself silly with friends. And I came back to Bangalore and told my co-founders and our partner firm (at the time), CodeIgnition, that we should scrap all our US/EU growth plans and focus on south east Asia. We started working with one of the two larger firms I'd met - an e-commerce giant with millions of monthly orders. Tactical piece work, largely, fixing particular scaling issues. GO-JEK vanished off the radar. Around July, the same VC firm called us again and asked if we had capacity. Having just launched GO-FOOD, GO-JEK's stack was maxing out at just under 10K orders per day and could we send someone over to see if we could help. By a happy co-incidence, our CTO, Niranjan, had just rolled off a long engagement with Staples Labs dealing with large Clojure codebases running at massive scale. This would make for a welcome break from all the pressure. How wrong we were. So off Niranjan went to Jakarta. With a couple of weeks of tuning, GO-JEK was clearing 40K daily orders. Then the core allocation system was re-built as an independent golang service: 100K. Then GO-JEK's COO, Rohan, decided to 10X our competitor's driver recruiting. Between late August and early September his team recruited 5000 drivers daily, taking us to 200K drivers nearly overnight.The daily orders went straight up the handle of the hockey-stick and to support the load, both C42 and CodeIgnition had to move their entire staff to work on the GO-JEK stack to keep it scaling. 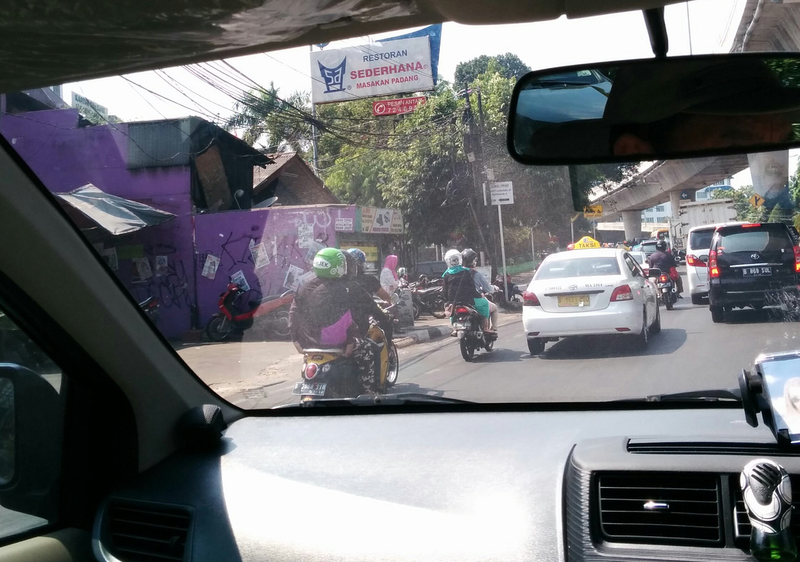 By September, GO-JEK's are everywhere! Here, drivers wait at a coffee shop for their next booking to appear on their phones. Just over a year after my first visit, scaling continues apace with more than 100X growth in daily transactions. We've launched 14 new offerings including payments and our food delivery business is, by one report in the Times of India, larger than the whole of India's combined. GO-CAR, which was launched in March, grew 10X in it's first four weeks. GO-PAY is currently running at a scale 3-4X more than the banks we integrate with are able to process. 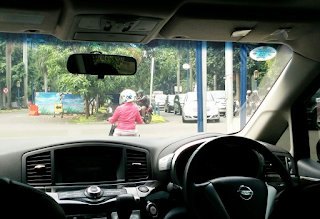 C42 and CodeIgnition were acquired by GO-JEK and now form GO-JEK's Bangalore office. 18 months after launch, GO-JEK has become Indonesia's largest startup by a considerable margin, and is currently South and South East Asia's only hyper-growth story.